Fashionable Heart: October 2011 Favorites- Happy Halloween! 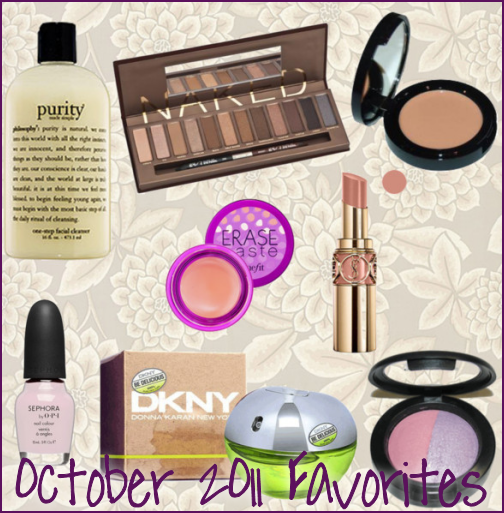 October 2011 Favorites- Happy Halloween! Faves time! :) I love October because the weather is cooler and the leaves are on the ground. I love putting on my boots and walking in the crisp air while wrapped up in a cozy cardigan. Instant mood lifter! P.S.- My contest ends at 11:59PM tonight, so there is still time to enter! Lovely products. I'm sure that UD is fantastic!